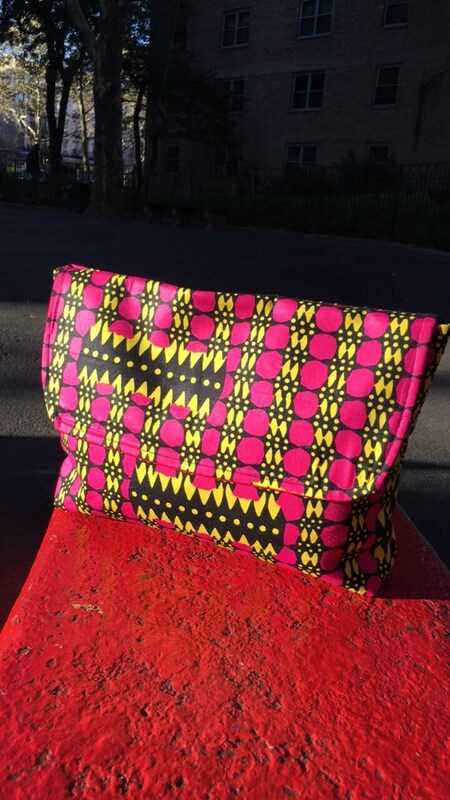 Bright pink and yellow and black African wax cloth envelope style clutch bag. This case makes the perfect traveling companion. water repellent red canvas and features one interior pocket. There is a velcro closure that secures the flap to the body of the bag.